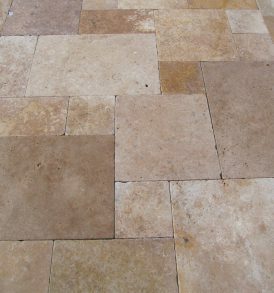 French Pattern Travertine Pavers from Stone-Mart. French pattern pavers provide even a modest home in a subdivision an appearance of class and luxury beyond it's place. If you are looking to maximize your investment both financially and emotionally then go with what the most prestigious buildings have used for centuries - travertine pavers. To show your commitment to going beyond the ordinary choose a French Pattern to make even your deck, lanai, walkways, driveway or balconies floor a feature in your space. The French Pattern, also known as Roman Pattern, Versailles Pattern or Ashlar Pattern, come in a set made up for four sizes; 8” x 8”, 8” x 16”, 16” x 16” and 16” x 24” our stone specialists can help you create the perfect pattern of interlocking tiles to enhance the look of your property. You can transform the look of your space and add an almost regal look beyond your expectations to your outdoor walkways or entertainment areas. Stone-Mart is your premier source for French pattern pavers, offering a huge variety of colors and styles. These gorgeous Travertine stone pavers are the highest quality the industry has to offer and will stand the test of time and elements. 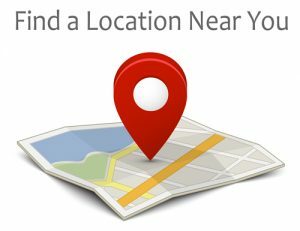 Call us today and speak with your stone specialist and order FREE samples today! Let us show you how our quality pavers can make a beautiful addition to your next project. Due to the color variation in natural stone, you will always be designing with a one-of-a-kind product with a diverse range of color and veins. We pride ourselves on having the most knowledgeable travertine and marble stone specialist because that is all we do. At Stone-Mart we don't try and be everything to everyone. We do 2 things better than anyone else - travertine and marble. We always offers the best pricing and offer a wide range of quality grades to help match any design budget.